As Russia reduces gas exports to Poland by 45%, officials in Warsaw have begun contingency plans for the inevitable attack by Vladimir Putin’s troops. 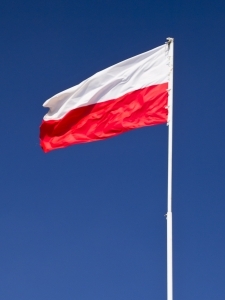 ‘It’s only a matter of time,’ admitted one Polish serviceman. ‘Every few decades someone tries to invade us. Who knows why – maybe it’s our neoclassical architecture, our kołduny dumplings or maybe its because we are the place you attack when you are bored of capturing the Ukraine’. Despite the Russian threat the people of Poland have remained strangely stoic; one historian observed: ‘At the end of the day, this is what the Polish people do best. Patiently waiting for unprovoked warfare. Thirty eight million Poles with precognition and copies of teach yourself Russsian’. Some Poles are positively upbeat; one teenager revealed: ‘No, no, this is good. We haven’t been invaded in years. My father, grandfather and his father – they all had such vivid war stories. When my Great Babcia got raped by the Cossacks, then by the Nazis and then the Red Army – these were memorable times. That’s what I want. A bit of history. A bit of nostalgia. A bit of unwanted territorial dispute, followed by the threat of vodka fuelled sexual violence’. Ha ha ha, too good to be true ! It will be nice to see all this compiled in a book,some what like a political Bill Bryson ! Oh, I see you already have an annual. This entry was posted on September 24, 2014 by Wrenfoe in International News and tagged Comedy News, Flib News, Gas, Poland, Putin, Russia, Satire, Ukraine, United Nations, Warsaw.